MEET JOSEPH SHAW JONES, M.D. Joseph Shaw Jones, M.D., is the medical director for Gentle Wellness Center’s alternative cancer treatment program, which includes infusion services and the IPT Therapy program. He also oversees the hyperbaric oxygen therapy chamber and provides general internal medicine services at Gentle Wellness Center. 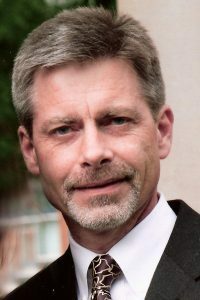 A native of North Carolina, Dr. Jones graduated from the Medical College of Georgia in 1984 where he was inducted into the Alpha Omega Alpha Medical Honor Society. He subsequently completed his Internal Medicine residency and Gastroenterology fellowship at Wake Forest University Medical Center, and practiced as a clinical gastroenterologist for 10 years. Dr. Jones remains board eligible in the discipline. He is also a member of the American College for Advancement in Medicine (ACAM) and the European Academy for IPT. Dr. Jones seeks the best combination of conventional therapies and alternative cancer treatments in a truly integrative fashion. He recognizes that time spent talking with his patients and family members, explaining the sometimes complex health issues that are present, is time well spent. He is an advocate of a patient’s right to decide what goes in to their bodies, and believes that a well-informed patient supported by a caring practitioner can make better choices in their medical care. MEET JESSICA CHRISTIE, N.D., C.N.S. Dr. Jessica Christie, ND, CNS is the Naturopathic Doctor at Gentle Wellness Center. As a naturopathic doctor and certified nutrition specialist she strives to get the root cause of the medical issue. Her holistic approach to wellness and extensive training can help patients reach their optimal health. Dr. Jessica Christie uses the newest innovations and techniques in naturopathic medicine along with a personalized approach to provide non-invasive, therapeutic treatments for her patients’ medical and wellness needs. Her training includes a four-year, in-residence Naturopathic Medical curriculum with clinical training at the acclaimed National University of Health Sciences. She also has extensive clinical experience at the Whole Health Center in Lombard, IL, Salvation Army Clinic in Chicago, IL and Yellowstone Naturopathic Clinic in Billings, MT. 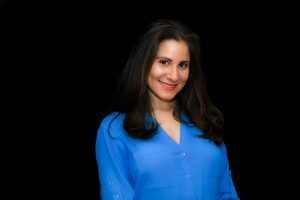 Dr. Jessica Christie has also received Bachelor of Arts degrees in Psychology, Spanish, and International Studies from Penn State University and a Master of Arts in Developmental Psychology from Gallaudet Univerisity. Dr. Patrick McNally, D.C is a board certified chiropractic physician. Dr. McNally is dedicated to gentle, effective pain relief and correction – naturally. For the sake of you good health. He believes that the chiropractic field holds one of the keys to good health, without surgery, overdiagnosis, or drugs. 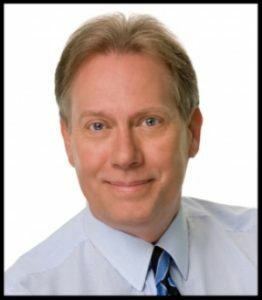 Dr. McNally has a top-notch educational background with specialized training in progressive techniques. On top of that he continues to remain current on new innovative and effective treatments through continuing education to provide his patients with the best care. 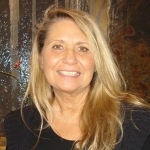 Teresa Owens is a certified colon hydrotherapist who also works with ion detox footbath therapy. She specializes in detoxification and weight loss. Her goal is to help effectively eliminate toxins from the body in a natural way so you can experience optimal health. With the increasing exposure of toxins, petrochemical, heavy metals and other chemicals in the environment, a regular detoxification program including colon hydrotherapy and ion detox footbath therapy is beneficial to everyone. Colon Hydrotherapy, also referred to as colonics, is a therapeutic procedure that uses filtered water to gently cleanse the large intestine or colon. It helps remove accumulated waste, mucus, bacteria, gas, and other toxic matter by hydrating, softening, loosening and rinsing the walls of the colon. The Ion Detox Foot Bath gently detoxifies the body of pesticides, heavy metals, nicotine and other toxins through a unique and relaxing 30-minute foot treatment. After cleansing the body it is equally important to help your body to rebuild healthy blood cells and boost the immune system. Teresa believes that when the body has been cleansed and rebuilt with healthy foods, the pounds melt away and we have the tools to ward off disease. 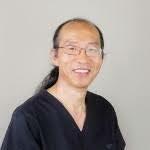 Peter Shin has over 25 years of experience in therapeutic massage therapy. He began his journey learning Asian bodywork techniques in South Korea, studying acupressure,moxibustion, and cupping therapy. His motivation came from necessity, as his wife had debilitating lower back pain and he was determined to seek relief for her. As a result from his efforts, she is now in good health and their family of four is flourishing. Upon completion of massage school training, Peter became Nationally Certified in Therapeutic Massage and Bodywork, as well as a Licensed Massage Therapist and a Certified Lymphedema Therapist. Although Peter performs massage therapy in several modalities, his special focuses are in deep tissue massage, acupressure, moxibustion, cupping, reflexology, Swedish gymnastics (Sport Massage), Thai massage, and Lymphedema therapy. From experience, Peter believes that to receive massage therapy on a regular basis is one of the best health investments an individual can make. Over the years of being a massage therapist, he continues to research and study the human anatomy and physiology as he finds the human body a mystifying work of art and healing. His passion and drive to keep learning about human anatomy and healing is what sets him apart from any therapeutic massage therapist out there. In addition to providing incredible healing therapy to Gentle Wellness Center patients, Peter enjoys belting out his favorite tunes as singing is his hobby of choice.